It occurred to researchers that dogs trained in the “Do-As-I-Do” obedience method presented the opportunity to test whether or not a dog is endowed with episodic memory. Episodic memory is the memory of autobiographical events (times, places, associated emotions, and other contextual who, what, when, where, why knowledge) that can be explicitly stated. It is the collection of past personal experiences that occurred at a particular time and place. For example, if one remembers the party on his or her 6th birthday, this is an episodic memory. They allow an individual to figuratively travel back in time to remember the event that took place at that particular time and place. In other words, the mind constructs a story of what happened, a who-did-what-to-who-where-and-when, detail rich narrative. As I understand the “Do-As-I-Do” training method, dogs are lured and conditioned with food to mirror human movements until at some point the action takes on a life of its own. Thus in the experiment, while the dog is preoccupied with a task at hand, the owner drifts away and performs an incidental movement to which the dog is not expected to respond but has been positioned to notice. If later an owner were to prompt the dog to perform a mirroring move in that same place but without giving him anything to mirror, the question becomes did the dog capture this earlier incidental movement as a sub-detail of what was going on around him, which the dog’s behavior could then reveal by being able to mirror that specific action the owner did earlier. It is asserted that this demonstrates that dogs are endowed with episodic memory as are humans. What is the Do-As-I-Do method? When I first heard about it a decade or so ago I thought it must be tapping into the deep mirroring mechanism at the heart of animal behavior and I was intrigued. But I was surprised to find that it begins with food training. In a way it’s just another trick a dog performs, like giving paw, not that this means it can’t serve the researchers’ purposes for this particular experiment. But it bears scrutiny because mirroring isn’t about the act of imitating others out of an understanding of the act of imitation, which is how a narrative-driven mind records the experience as in “You moved your left arm so I’m going to move my left arm.” A mind capable of a narrative driven episodic memory would also have to be aware of the concept of imitation. The absence of this in dogs is why I prefer the term mirroring over imitating and this is also why the “Do” method relies on food rewards to get the ball rolling. If a dog had a narrative driven mind, one wouldn’t need food rewards. A child understands the act of imitation as a concept and can perform it for no reward, annoyingly for many parents driving with kids in the back seat. 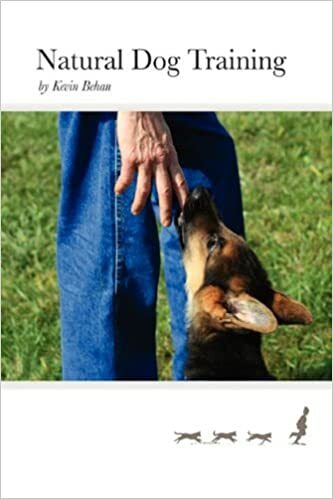 One can train a dog to give paw on command and this behavior can also take on a life of its own. And were we then we to prompt such a dog in another context he will volunteer the give paw behavior in response. 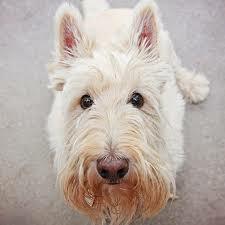 The dog is being triggered by specific signals the owner is giving and so these summon up from the dog’s past a relevant physical memory of how it moved relative to its owner in a similar state of orientation and intensity. (These energetic parameters have been mistakenly attributed to context.) Whatever “state-of-conductivity” (i.e. how mechanically and qualitatively a dog moved relative to an Object-of-Resistance) has primacy in the body’s physical record of movement the dog will feel and then can recapitulate this at a Forward Point in Time. Yet science doesn’t treat this as episodic memory. Again however these distinctions have no bearing on the particulars and findings of this experiment, ONLY ON ITS INTERPRETATION. My point being that in a dog’s mind it’s not a concept of doing as another does out of an understanding of the act of imitation, mirroring speaks to a deeper dynamic, one that determines the nature of animal memory as well. Giving paw, barking, heeling, coming-when-called are variants of the mirroring phenomenon, i.e. physically aligning and synchronizing with the flow of energy (emotion), with the trainer/owner having established this current. (The quantity and quality of the mechanical energy of the body moving in concordance with the energetic principles of emotional conductivity that determine the nature of the memory.) So indeed there is something fundamental going on whenever a dog performs a behavior or learns a lesson and I’m proposing we identify this fundamental rather than reflexively dumping it into the narrative, high cognition theory-of-mind interpretation as is being done here by rushing to install episodic memory in the mind of a dog. Note that the experiment is set up to look for episodic memory, it is not neutrally examining the nature of a dog’s capacity of memory. So the researchers are finding what they are looking for because they are already looking at the question through a predetermined filter. One of the key variables in the flow-of-force template is not only the location of the individual, but the placement of all salient objects of resistance to the flow-of-force in that given frame of reference, most importantly, that O-R that defines the main flow channel. This is a primordial template that governs the animal mind and so for example I have no doubt that every domestic and wild animal on my farm and in the nearby woods, even the jays, ravens and crows overhead, are tracking my every movement given my status as the most intense predatory aspect moving about and they thus record my presence as a salient characteristic of wherever else they may be experiencing in any given moment. When I’m wearing my bait pouch, the jays start trilling and once a furiously groaking-and-gronking raven led me and a dog I was with to a carcass, my arrival I believe succeeding in driving the far more numerous crows away. One ramification to a mistaken interpretation is made by Dr. Bekoff in his Psychology Today column linked below; that if a dog is endowed with an episodic memory therefore he can’t be said to live wholly in the present moment. So truth in advertising I have my favorite dog “Imma” (Immediate-Moment Manner of Analysis) in this fight. I don’t understand how memory and an immediate-moment state of mind are mutually exclusive, as well as the corollary discussed above that memory must be encoded according to a narrative style of events. My counter-statement to “dogs remember more than we think” is that a dog never forgets anything. It’s just that it can’t remember of its own volition, physical memory needs to be triggered. And unlike mentally thinking about a memory, the body reliving a physical memory is never mistaken. The past is relived all over again, in the moment. This is why after all PTSD afflicts traumatized people. The problem isn’t that the victim is recalling a bad experience and thinking about it, the problem is they are reliving it. They are in the moment, they’re just not in the moment that includes their present set of circumstances. 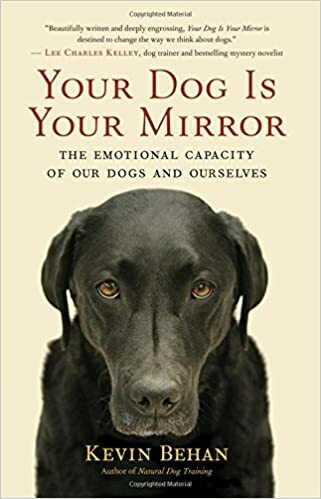 The reason dogs are very good at mirroring, and the reason food is used in training dogs, is that food lowers the dog’s already low threshold for “emotional projection.” Emotional projection is the basis of animal behavior, most especially complex, affiliative behavior. Emotional projection is the projection of a feeling for one’s center-of-gravity into the form of an emotionally relevant object. What is an emotionally relevant object? Anything that can challenge one’s sense of balance thus motivating the individual to move. (O-R) And when an animal moves, it must first project a feeling for where it’s center-of-gravity is going to be in order to successfully compute for the next foot fall, or for a sequence of foot falls, or most importantly, for a complex series of maneuvers when interacting with others. In other words, the Object-of-Resistance becomes invested with a Forward Point that the subject MUST occupy with its own body in order to restore a feeling of Well-Being, an emotional state of Well-Being being The Point of everything an animal does and toward which every cell, organ and system in his body and mind evolved to maintain and/or optimize. Likewise, the memory of an animal is recorded by virtue of a subliminal tracking of the body’s center-of-gravity in relation to emotionally relevant objects in the surroundings so as to maintain and/or optimize a state of emotional Well-Being. And when the feeling of the physical center-of-gravity is projected, an entire life history of movements relative to that class of relevant object goes along for the ride as well. Emotional projection is what makes mirroring behavior possible. The animal feels that an emotionally relevant object, especially one with whom one has acquired an emotional bond (such as an owner) is an emotional ballast, a counterbalance essential to its sense of emotional well-being, the ground literally shifting beneath its feet as its owner moves about. (In other words, everything a dog does is a mirroring of its owner.) The idea of physical memory as a mass, a burden, but more importantly in regards to its network function, an emotional counterweight, means that there will be an inherent drive to mirror (misinterpreted as an act of imitation) IN ORDER TO CONNECT and thereby reacquire a state of emotional Well-Being. In this way, behavior evolves to be more complex and affiliative so that MORE WORK CAN GET DONE, i.e. evolution happens. Since behavior means movement, and since movement means a transfer of force, emotional projection induces dogs to “mark” any significant transfers of force within their perceptual field even if they don’t immediately deal with them. (The point of my YDIYM book is that dogs are likewise noting significant transfers-of-force recorded in their owners’ emotional memory banks and then post-hoc acting on these if their owner fails to do so.) The marking capacity of dogs given their remarkably low threshold for emotional projection (i.e. they can project into anything) has been exploited for millennia by the huntsman. In the world of sporting dogs marking where a number of birds fall are important components to a dog working under a gun. This capacity of emotional projection and the capacity of physical memory to track and record the movement of emotionally relevant objects involving significant transfers of force/energy has been a mainstay of dog and man working together in the hunt for centuries. It’s how wolves have hunted collectively for eons. It has nothing to do with episodic memory. To sum up, while this is a very clever and interesting experiment, the interpretation unfortunately is human story telling which obscures what’s really going on. Emotional projection and marking transfers of force is the basis of the animal mind so that when entrained one individual feels as if another individual’s body is an extension of its own and all significant transfers of force are marked and retrievable at a later date. In Nature, and in the nature of animal consciousness, the point of affiliative behavior isn’t sociability and companionship as wonderful as these derivatives are of the true organizing dynamic. Nature “knows” that in order to get its work of evolution done, two bodies are better than one. Post Note: Alexandra Horowitz, canine cognition researcher, has reintroduced the notion of “Umwelt” (the world view of other beings endowed with differing sensorium) into the discussion on dogs. The philosopher Nagal says this is an impossible endeavor. However Panksepp reveals that all animals are endowed with the same emotional systems and so there is a universal emotional Umwelt that may not represent an unassailable height given that there is a human animal within us all. We should be able to make a model based on what we share with animals. Since these emotional systems Panksepp outlines are preverbal, they are therefore not Time-centric. Meanwhile Einstein speaks of Space/Time as a continuum rather than as one being distinct from the other. He demonstrated that anything that can be said of Space can also be said of Time and vice versa. The animal body as well as the animal mind, has surely evolved in concordance with Space/Time rather than Time as a concept concocted by the human intellect, an arbitrary distinction that renders our human minds as being Time-centric. Rectifying this illusion took the combined genius of many thinkers through several millennia to lead us to the Einsteinium breakthrough. My proposal is to approach the problem of the canine Umwelt through the perspective of a Space-centric mind, one which is available to us all via the human animal (i.e. emotion). To understand “being in the moment” it will prove more productive to turn to physics and its definition of a moment-of-momentum. (Note the word moment is contain in momentum) A moment of emotional momentum defines a cycle of emotion so that a state of arousal applied to an O-R is returned as positive feedback so that the original state of arousal meets with complete exhaustion by running to term. An emotional cycle determines a dog’s state of calmness relative to what’s going on around him. If a dog feels things aren’t moving fast enough, that the feedback which is returning to it is not increasing a feeling of conductivity, then it becomes nervous/anxious/fearful. It will “leak” or “burst” with excessive vocal or physical vibrations, otherwise known as annoying or problem behaviors. Yet in that same set of circumstances a dog with a strong imprint of careful Drive cultivation, will feel things are moving just fine even though things are static and nothing seems in that moment to be improving. Like Einstein said, Time is relative. The transfer of force you talk about here reminds me of an intriguing water buffalo vs. lions video (https://www.youtube.com/watch?v=LU8DDYz68kM). There are many of these videos on-line, where water buffalo fight back and successfully save their young from lions. That’s why I was so surprised in this one to see this cow and bull flee the scene immediately when 6 lions nab their calf. Most of the video is sad footage of certain death for their calf, including a heart stopping moment where it’s the object of a tug-of-war between the lions and an opportunistic alligator. But fully 2 minutes into the drama, the cow and bull return…with a large, cohesive group of additional buffalo. After attempting several angles and tactics, they eventually drive off the lions. Incredibly, the calf is still very much alive and rejoins the herd. I’m wondering how this cow and bull rallied a whole herd to come back with them and fight – something that would have been difficult for a human to pull off in 2 minutes. I feel like I understand bits and pieces, but I can’t quite put it all together. If I try to understand the Imma for the cow and bull, the emotional draw of the herd at this point in time was greater than that of their calf in the of paws of the lions. Clearly the calf & lions represented the ultimate e-cog, but it seems like that was temporarily suspended while the cow and bull rallied reinforcements. Does this have to do with the herd being an emotional ballast thus inducing affiliative behavior first and foremost? Or maybe there was no “rallying”. Is that just me rationalizing? Regardless, when the buffalo came back as a cohesive unit, were the e-cogs of all the other buffalo projected into the cow and bull or directly into the calf and lions? And one last thing. Large dangerous prey animals that are fully capable of killing lions and other predators typically let the predators live, provided they properly retreat. Is this live-and-let-live propensity in prey animals due to what they bite (plants as opposed to flesh), so they go back to grazing unless they actually have to kill to end the threat? Thanks for your questions. In the Immediate-Moment the fundamental principle is attraction, everything is attracted to everything. Lions are attracted to buffalo, buffalo are attracted to lions. If hunger is stronger than balance, the attraction can be consummated so it’s obvious to see how this works out for lions trying to take down a buffalo and eating it. In contrast if balance is stronger than hunger, then the attraction feels blocked and buffalo runs from lion and it doesn’t appear on the surface that there is any attraction in buffalo for the lion. Hunger stronger than balance feels better than the alternative. Predators can sustain the hunger/balance ratio under a higher rate of change than can prey. Animals that live in groups can achieve a quorum effect and raise their hunger/balance emotional capacity through the strength of this “field.” The relationship between mother buffalo and calf, and vice versa, is hunger over balance. A stimulus is stimulating because it knocks the subject out of emotional stasis, the animal mind processes a disturbance of emotional equilibrium via its balance circuitry. Thus it feels knocked off balance and is literally accelerated into motion (just as if it has been shoved) by this perception of being acted on by a force and thus needing to restore physical and emotional equilibrium. It must neutralize the source of force (or couple with it) in order to return to a state of neutral. Thus there is a state of attraction to the source of force that destabilized the existing state of equilibrium. And when a body is in motion, it must project a feeling of its p-cog to a forward point and this becomes its e-cog when invested in a source of force. The body MUST occupy this forward point in order to restore emotional equilibrium, otherwise it remains charged. When the projection is 100% due to the intensity of the moment, as in predator on a prey, or due to a built up bond, such as between mother and offspring, then the subject feels that the objects’ body is an extension of its own. The lions when they first charged exerted so much force in their rush toward the calf that the buffalo were completely knocked off balance and they fled. The rate of change and compression was too high. They couldn’t feel their bodies, they couldn’t feel their hunger/balance attraction to the calf. When they gathered and achieved quorum, they could feel their hunger/balance ratio of attraction to calf and this I believe is why they rallied. They didn’t think this through, there was so much charge invested in the calf both through the history built up through daily contact, but now through the force invested by the lions in it, not to mention crocodile, that their hunger/balance attraction to it not only returned but was strengthened, and then in numbers they were able to return and attack. Another way of saying this is that the calf became a midpoint by which the buffalo could express a lifetime of pent up attraction to the lions and actually consummate it by capturing the calf and neutralizing the source of force that was knocking them off balance. Buffalo I believe receive the same hunger satisfaction from using their horns (or pommels in hornless ungulates) as do carnivores in using their teeth. They are both bone structures that grow throughout life. So how might the quorum effect work to make the rally possible? Think of the herd as a magnet. A magnet is comprised of subdomains. So we see in the herd that there too are smaller groupings (family units—social liaisons, etc. ), each a magnet in their own right. If these subdomains are aligned, then the magnetic force of the herd is at its maximum and each individual feels the most flow (as for example in migratory impulses and finding water, rich grass). This magnetic sense in the mind of the animal derives from it having projected its p-cog into the form of objects-of-resistance. If the object can be aligned and synced with, then it is of one’s own kind. If it cannot, then it is a predator given that it can interrupt the feeling of flow, or current. Each domain can conduct a given amount of current, the more that are coupled together, the stronger the field, the greater the current. This means that each member of the herd projects and then “marks” the presence of its e-cog invested in these other individuals. Researchers purport that animals have a crude numeracy sense and I suspect this is due not to an ability to count but to a highly refined and accurate sense of how strong the “magnetic field” and feeling of flow is due to the marking and tracking of projected e-cogs. Thus if some individual is missing from the herd, it will have some impact on a feeling for the whole herd, but most particularly on the sub-domain to which it is far more proportionally a constituent. When the herd achieved quorum and the original hunger/balance emotional bond returned for the calf, they could now feel rage toward the source-of-force that was blocking them from access to the calf. This would be equivalent to the rage a bull would feel toward another bull that is blocking its access to a female during the rut. The female in estrus attracts 100% projection of the bull. We also must remember that all the energy the lions were investing in bringing down the calf, was increasing the force of attraction in the buffalo for the lions which is why it would work quickly like an impulse as opposed to having to operate through a deliberative process. Due to the vulnerability of the calf and I would guess that it was also bleating, this increases the hunger component of the hunger and balance ratio. This is akin to a dog guarding a bone. (The bone gives the dog confidence to express its fear) It’s the same basic operating system in both predator and prey. Other than these cases, most of the time predators will avoid other predators, prey will avoid predators. They will disperse widely enough to “saturate the medium” in accord with the Constructal Law. This thermodynamic tendency in organisms to coherently space themselves has been misinterpreted as a territoriality and social ranking and then crudely chopped up into the categories of either instinct or cognitive computation as if these are the only two alternatives. But an Immediate-Moment interpretation of emotion as the behavioral embodiment of thermodynamics and the laws of motion is a more coherent explanation (in my opinion.) The survival of the calf also speaks to why motorcyclists like to wear protective clothing made from water buffalo hide. I once had such a vest and it held up to bites very well. Thanks for the thorough analysis, Kevin. The section on magnetic alignment made me think of human interactions where we feel magnetic attraction or disruption from others, and in the the latter the one with lesser “gravitas” tries to align with the one with greater “gravitas” in order to maintain flow (if they don’t flee). There are intellectual explanations for how this influence happens and language-based strategies for how to work with it but I think it’s easier to understand as a thermodynamic feeling per your model. So hunger is the willingness to lose your balance and move forward? And an O-R is attractive if it’s within our perceived capacity to overcome (integrate) it, but repulsive if not? Exactly right. When hunger is stronger than balance, then the balance processes are sublimated in service to tuning the movements, and they are smooth and fluid. Then the subject can perceive a preyful aspect in the O-R and thus can mirror its movements and this is what enables them to connect and ultimately integrate in a common objective (midpoint). But if balance is stronger than hunger, the predatory aspect of O-R is paramount and subject is operating on a load/overload basis, balance as GO or NO GO, and we see an emotional rigor mortis in the style of movement that looks like it’s treading on thin ice or about to flee or bite.